Published just in time for Passover 5779 (2019), this unauthorized and hilarious Haggadah from the legendary Jewdas collective propagates a multitude of dangerous ideas. These include workers’ rights, liberation of the oppressed, and the dismantling of nation-states, all in line with Rabbi Geoffrey Cohen’s heretical diasporist ideology. Fully functional and designed for use at your next seder, the Haggadah includes never-before-seen fragments from the Book of Geoffrey, including dreams, stories, new and old liturgy, illustrations, recipes, songs, and even sexts and party games. Its pages celebrate contemporary lefty wins and explore radical Jewish communist history while inciting readers to create change in the world. 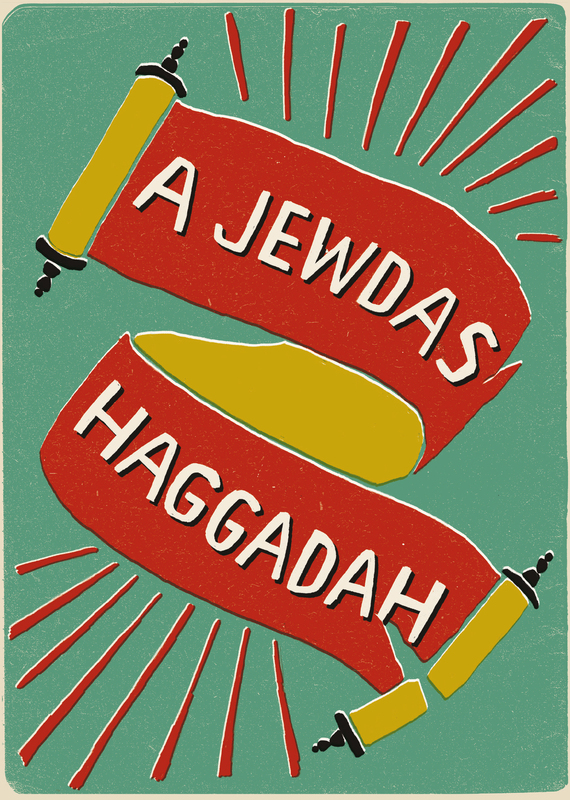 A practical tool for enabling Jews across the diaspora to hold alternative seders of their own, A Jewdas Haggadah reflects a uniquely political and joyous form of Jewish practice.